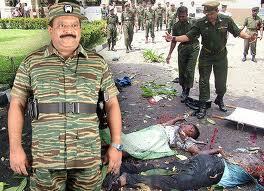 The President of Liberation Tigers of Tamil Ealem (LTTE), Prabhakaran died in an attack by Sri Lankan army. His son Charles Antony and prominent LTTE leaders were found dead during the attack. He was the founder of Tamil New Tigers in 1972. It was changed to LTTE in 1976. 11 Indians created a record on May 21st by climbing up Mount Everest. Horst Koehller was re elected as German Presisdent. Madhav Kumar was elected as the new Prime Minister of Nepal.